Gorwel – a Welsh word that translates as Horizon. 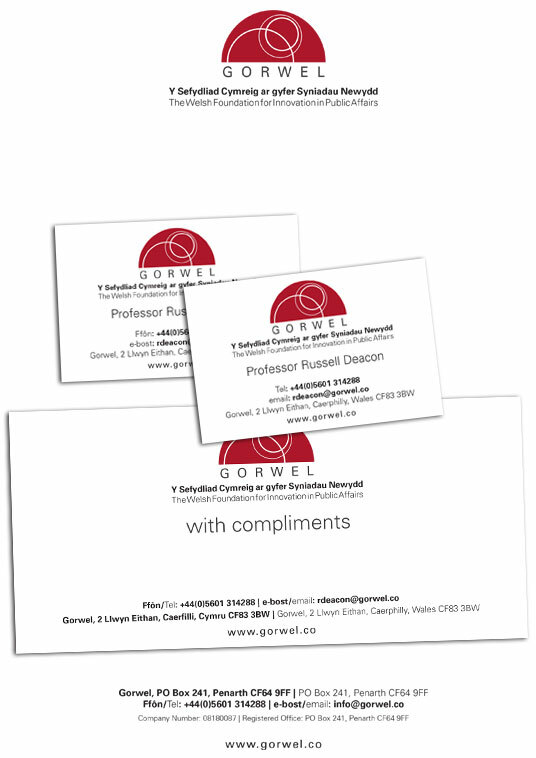 Gorwel is The Welsh Foundation for Innovation in Public Affairs. A new independent non-party political think tank for Wales. They wanted a brand identity that was contemporary but had a connection to the origins of Wales and Welsh culture. The semi circle graphic represents the horizon and the globe and the interconnecting, almost concentric circles, emphasise these same symbolism. The sun like shape highlights the concept of idea and thought whilst at the same time the linking circles are a reference to culturally relevant patterns.